Since we had our wedding reception at our house, we just used my beloved Spotify for music. 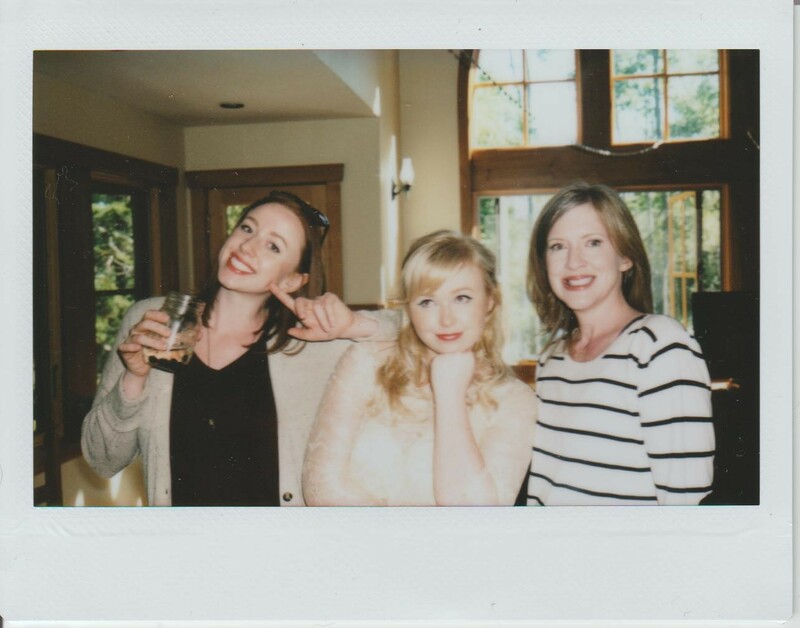 I probably spent more time working on the wedding playlist than I did any other aspect of our wedding. I listened to it in order day after day to make sure I liked the flow. I played around with the crossfading and decided that crossfading exactly 7 seconds was perfect. Not 6 seconds, not 8 seconds. In retrospect, I was way too fixated on this playlist and I probably wasted hours of my life on it. Oh well. I didn't want my wedding playlist to sound like everyone else's. When I Googled "wedding playlists" I was given basically the same 50 songs. Spencer and I decided upbeat indie music was the way to go, and not necessarily lovey-dovey songs. I added songs we both love, plus a few songs that I thought everyone would know and enjoy, and a lot of covers of well-known songs. Along with songs we were already familiar with, I continued to look for new artists and found a ton of great songs for my playlist. I looked on Spotify, of course, but I also used my other tactics for easily finding new music. I signed up for a free trail of Spotify premium so that no ads would interrupt, hooked up a Beats speaker to my laptop, blasted the volume, and put the speaker at the edge of my loft bedroom so that the music could easily be heard throughout the downstairs. I have a tall, open ceiling so the noise traveled easily and I also didn't want to risk someone hijacking my laptop and putting on the YMCA. No way. I made the playlist a little over 6 hours long, not that I wanted my reception to last that long, but just in case. I also made the end of the playlist all instrumental to signify to any stragglers "okay, it's over!" We only made it to the 77th track, but at least the playlist was certainly long enough! 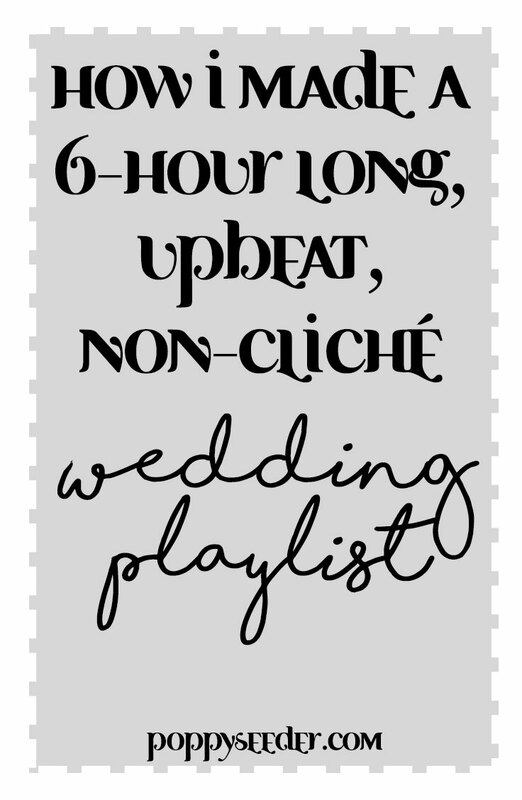 Pin it for later and tell me what was or would be on your wedding playlist in the comments!